I can’t believe it’s already Wednesday! 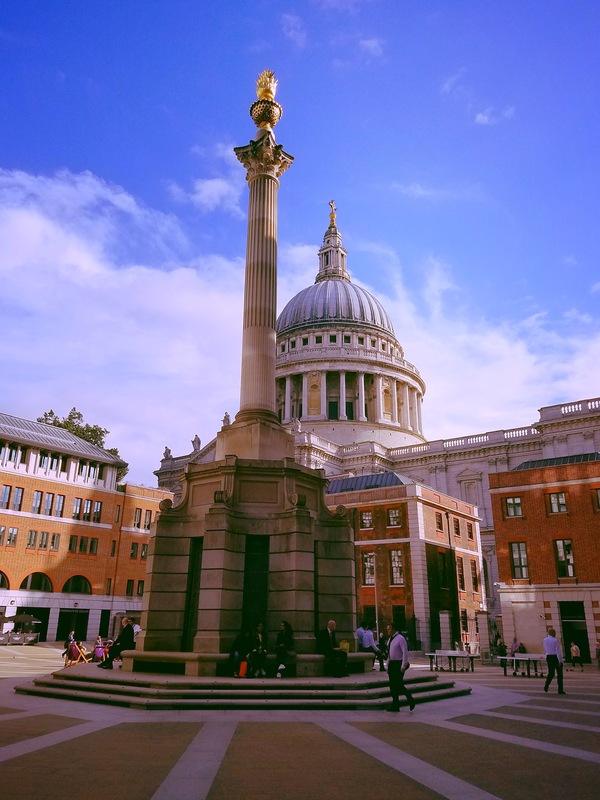 Well, it’s Thursday in reality, but this post is all about my Wednesday – another lovely day in London. Once again, I had one specific thing planned (more on that shortly), but the rest of the day came down to where the wind took me. 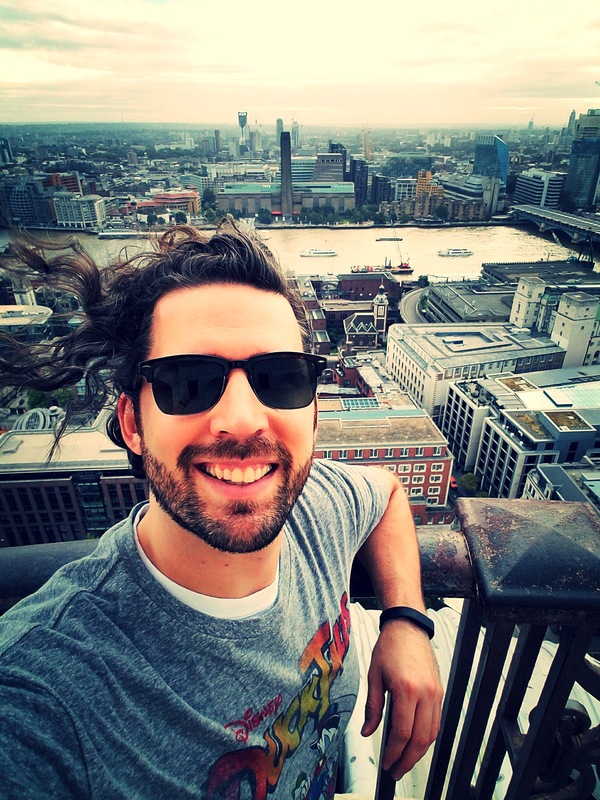 And, since I hadn’t yet visited my favorite spot in London, I knew I had to start there. 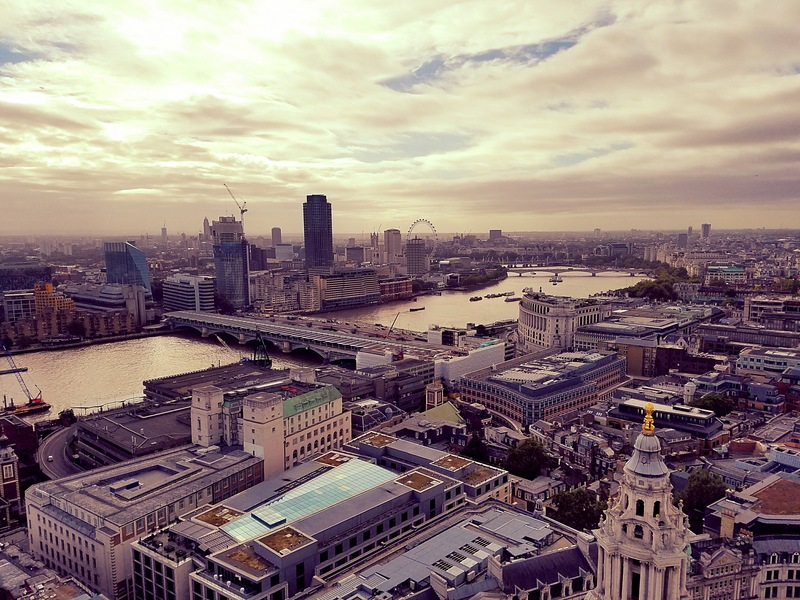 Do you remember what my favorite London view is? 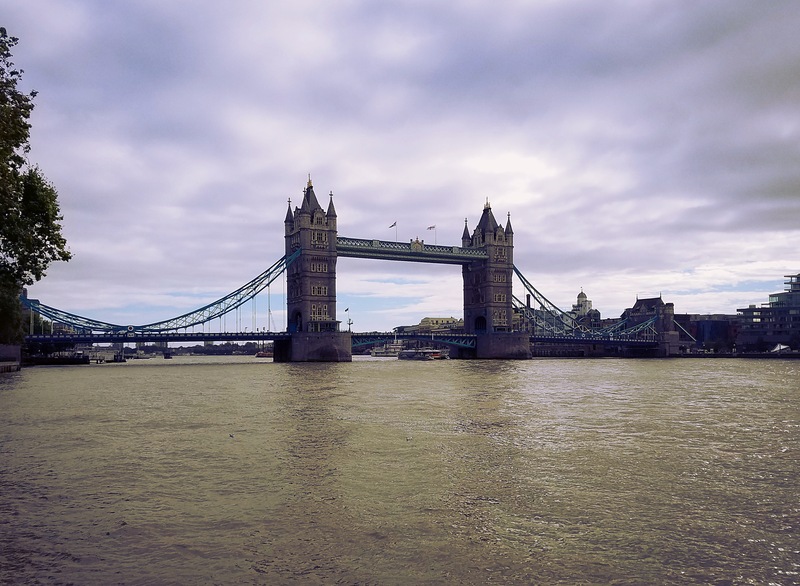 If you guessed Tower Bridge, you’re right! I don’t know what it is about it, but ever since the first time I saw it in person over 13 years ago, I’ve loved it, so I make a point to visit it simply to soak up the views. While you can actually go to the top of the bridge and visit its engine rooms, I’ve only ever done that once because when I’m inside it, I can’t look at the outside of it! 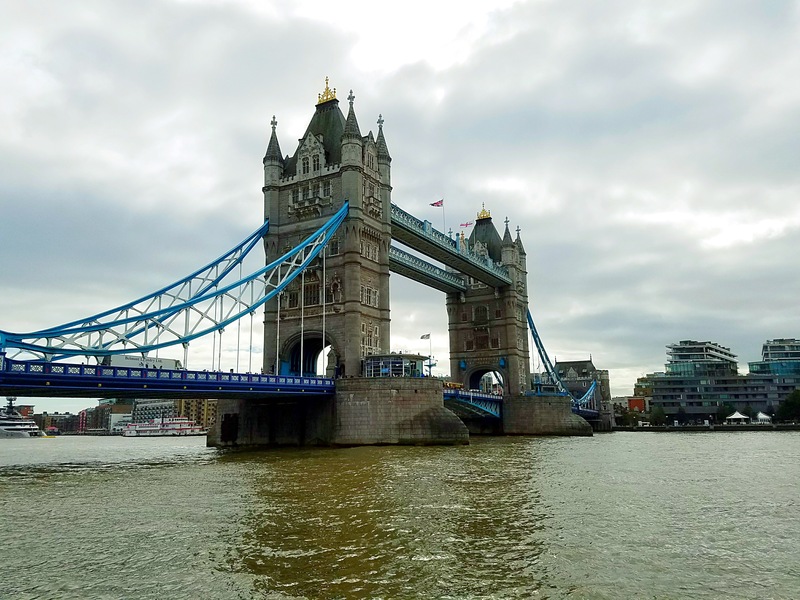 Getting to Tower Bridge from Earl’s Court is quite easy – I hopped on the District line again, but I stayed on a bit longer than yesterday, passing Embankment to get to Tower Hill. 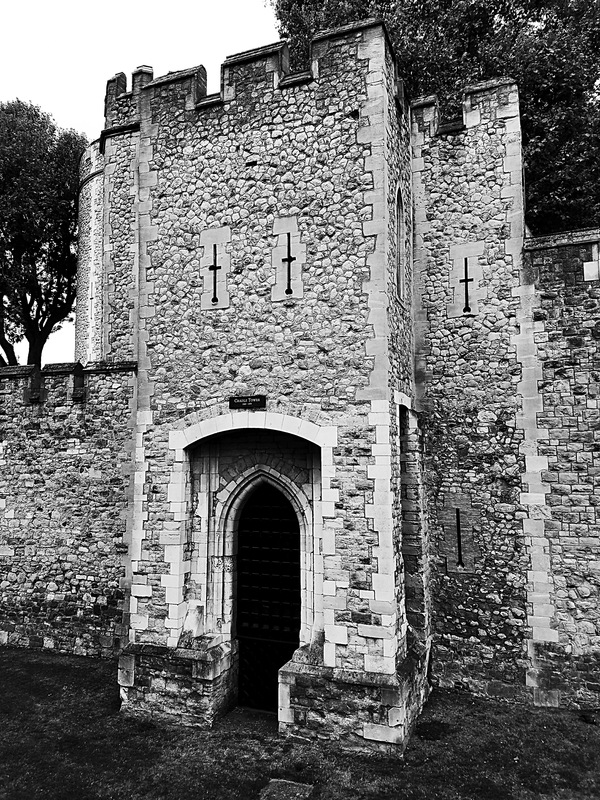 The station is situated right by the Tower of London as well, so it really is an iconic part of the city. 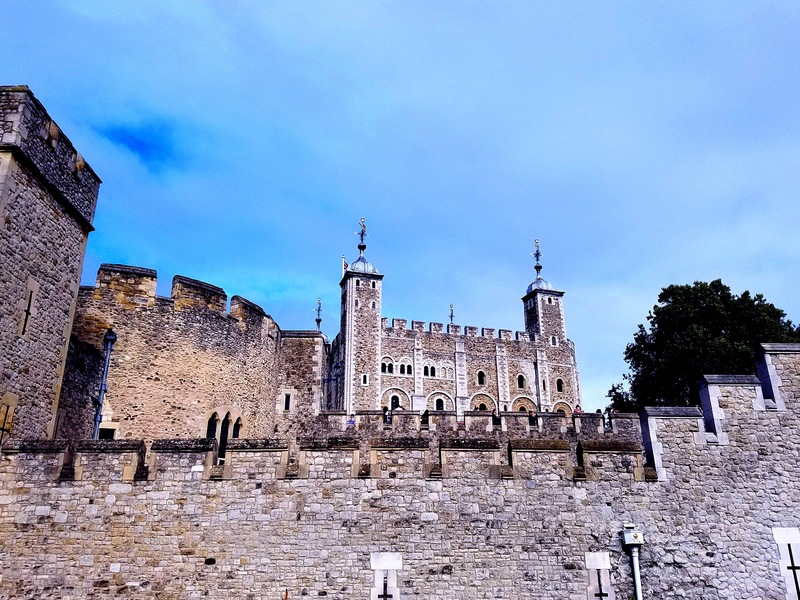 I’ve also been through the Tower of London a couple of times and it’s something I will likely do again as it’s a neat tour and you get to see the crown jewels to boot, but that wasn’t on my agenda. I was happy to take in the exterior views and, more importantly, make my way to the river so I could see the bridge. 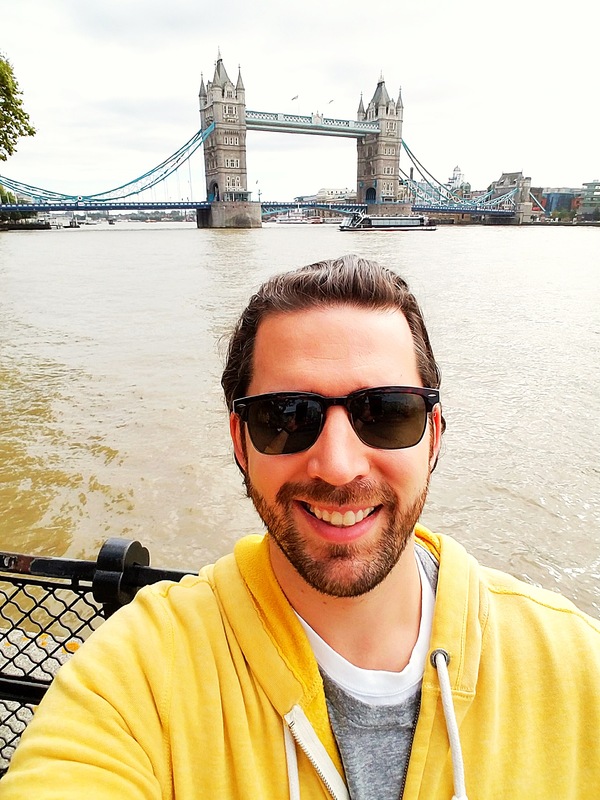 I was there around lunchtime and because the weather was so nice, I wanted to take advantage of it by eating outside, so I grabbed a sandwich and enjoyed it on a bench with Tower Bridge in front of me. So nice! As I ate, I just watched the world go by as people jogged past, talked with their families, read books, or just enjoyed a quick bite like me. There are lots of benches along the river by the bridge, so I recommend enjoying a little picnic on one of them when you’re in London. And even though I’ve only done it once, I do recommend the experience of going inside the bridge at least once. It’s fun to say you’ve done it and you get some great views of the city from the top of the bridge. Next up was All Hallows-by-the-Tower Church. 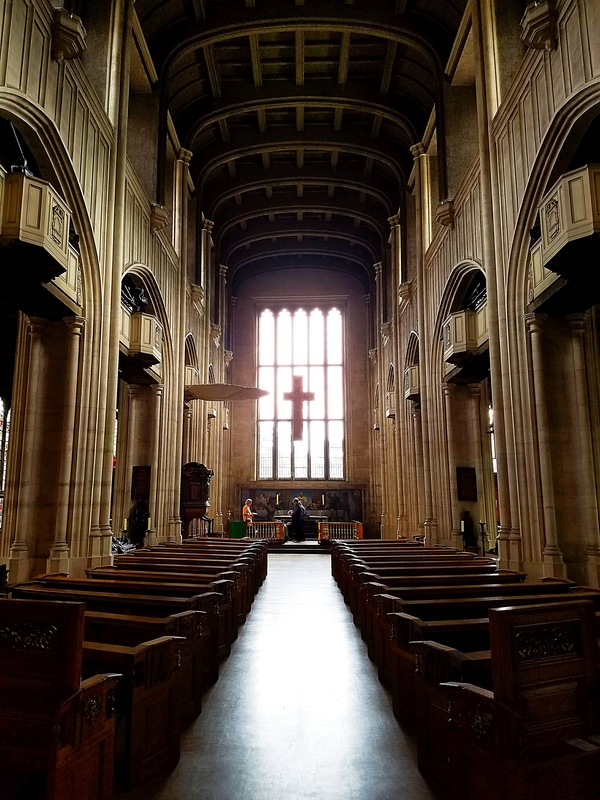 Although I’ve walked by this church many times before, I’d never been inside it, so I poked my head in and I’m very glad I did as it’s a really interesting building. 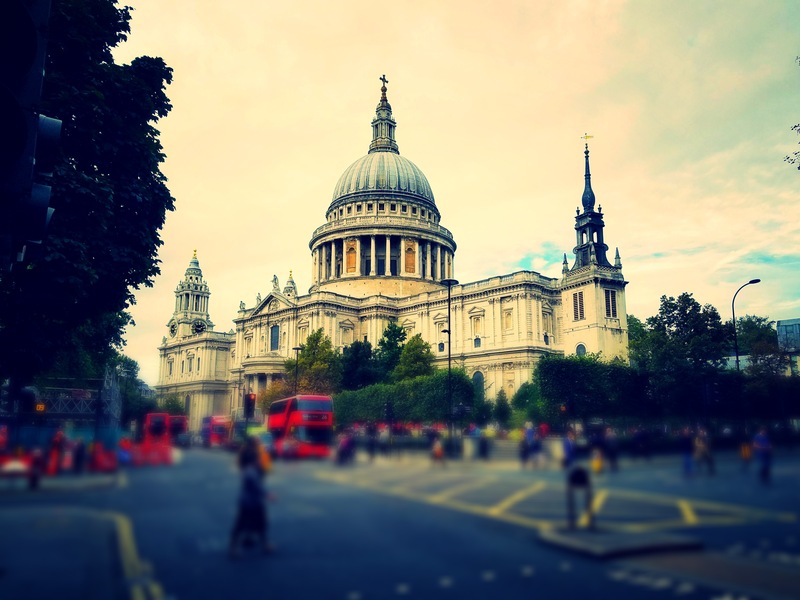 Did you know it’s the oldest church in the City of London and that it dates back to 675 AD? I certainly didn’t! 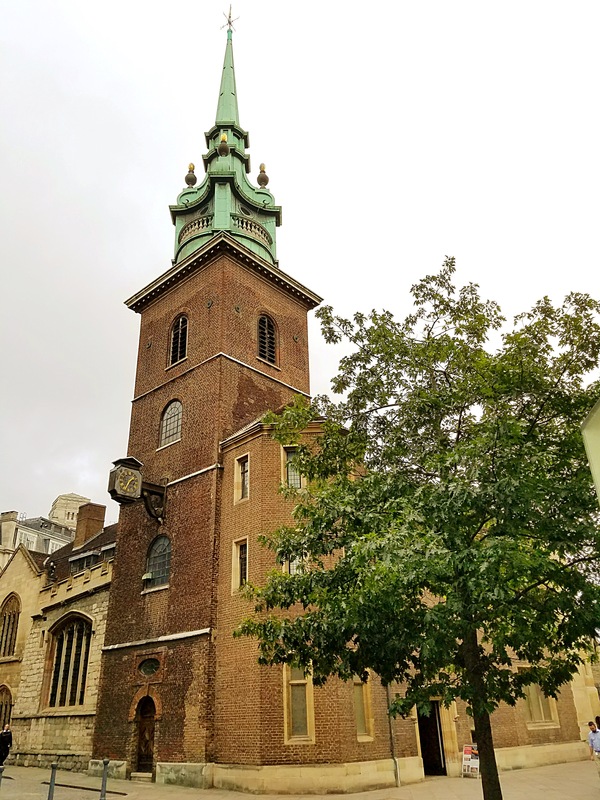 Like any good London church, it also includes a crypt and this one is not only open to the public, but it also contains a little museum and entry is free (it’s also free to just go into the church and look around). This was definitely a good spur-of-the-moment decision and I’m glad I stopped in! 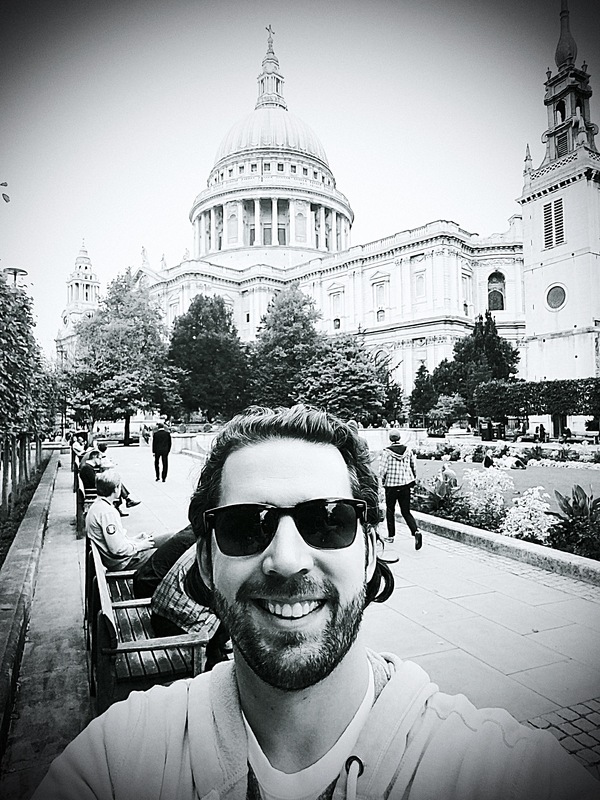 Because I was only about a mile away from St. Paul’s, I decided to walk down and pay it a visit. 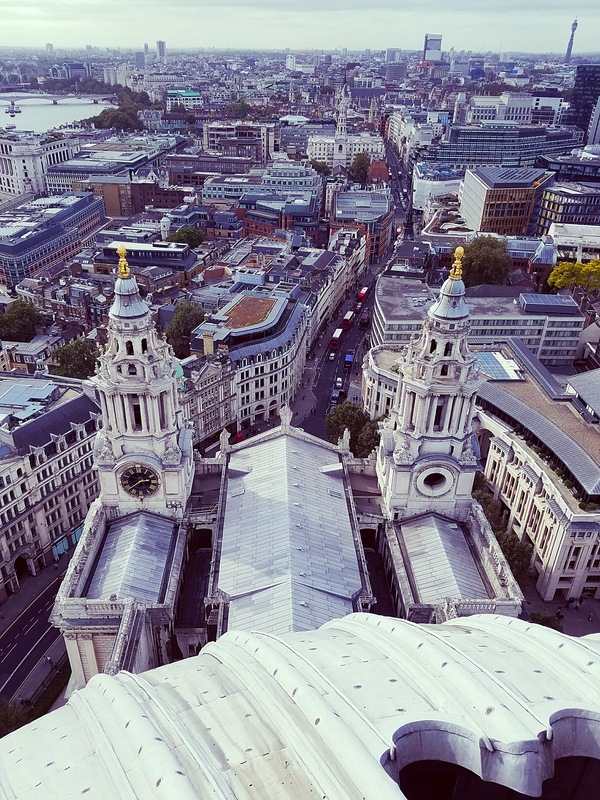 When I was having dinner with my friends in Brighton last week, we got to talking about St. Paul’s and I said that, while I had been inside it before, I had never climbed the stairs to the top. I thought of that when I realized how close I was and decided that I would take the plunge (or is that make the climb?) and do it. 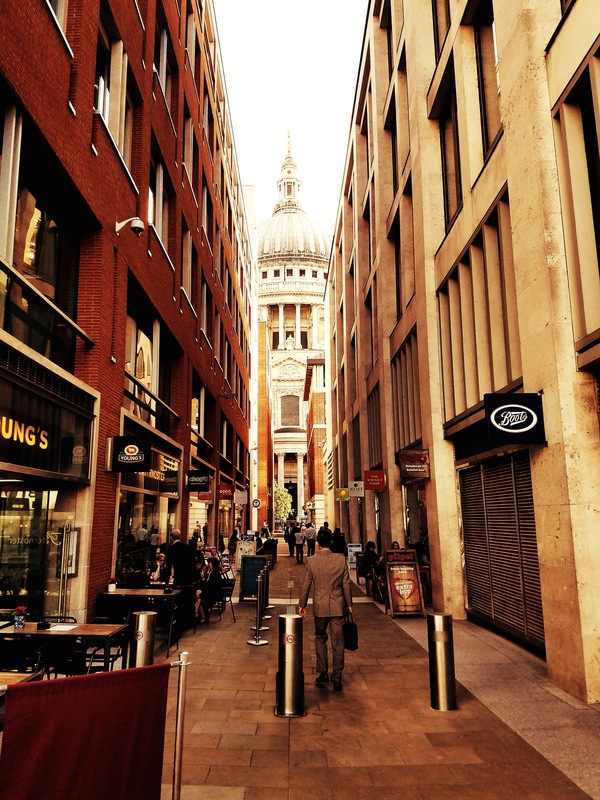 The walk through the city was pleasant and it was cool to see St. Paul’s from a distance. It’s kind of like watching a movie when you see these iconic views in person, right? 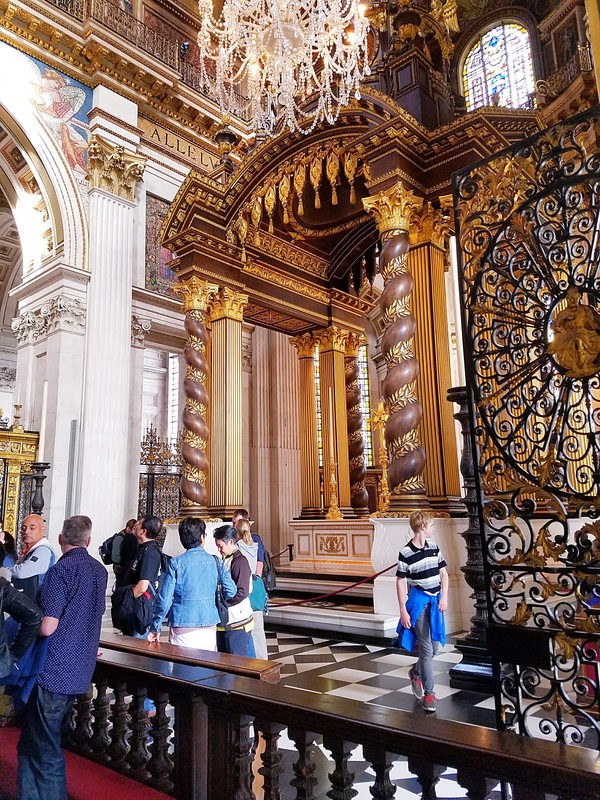 Once there, I paid the £18/$23 USD entry fee (a bit steep, I realize, but since I haven’t been visiting a lot of paid attractions on this trip, I figured it would be worth it), had a bit of a wander around the church, and then headed for the stairs. 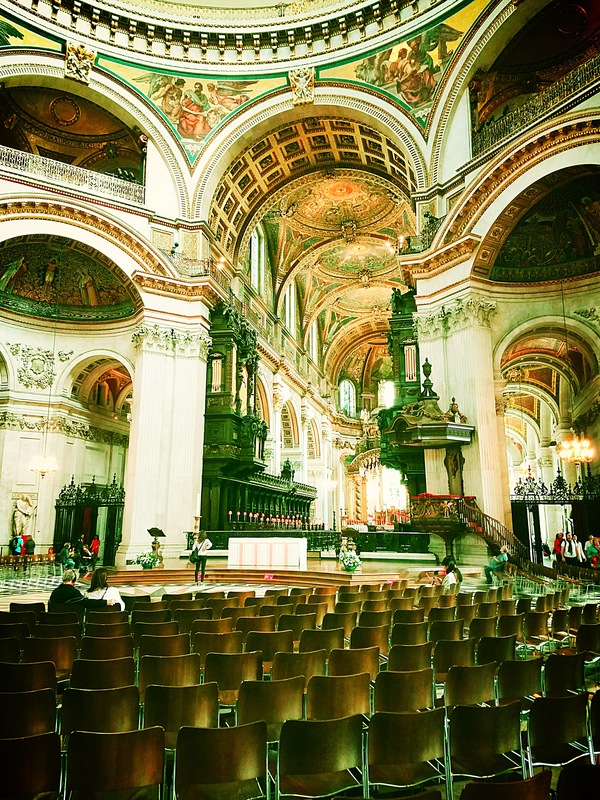 St. Paul’s is a really beautiful building, so if you’ve never been before, do yourself a favor and visit when you’re in London. The entry fee includes an audio guide that’s really good (I’ve used it in the past) and there’s a ton of history to learn about this building. 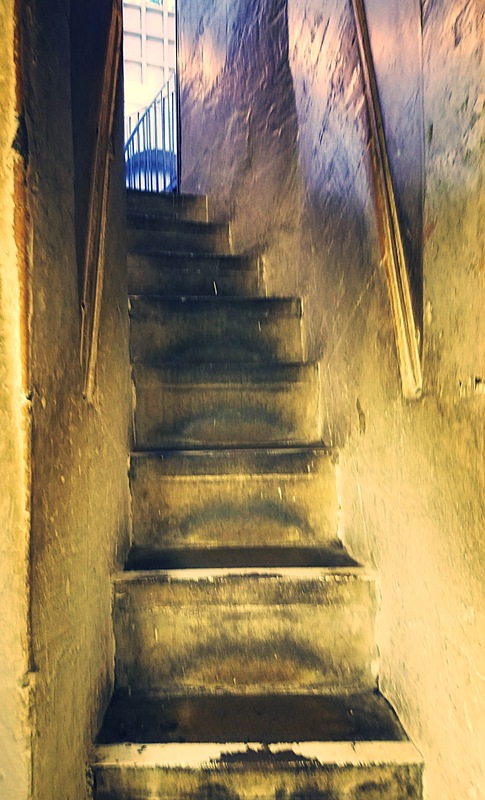 And when you’ve had your fill of history, you can get a workout in by climbing the nearly 600 stairs to the top. Yes, that’s 6-0-0. 🙂 As I climbed them, I was reminded of the time Scott and I climbed to the top of Belfort in Bruges, but this was worse because St. Paul’s has about 200 more stairs! Obviously you should be aware that climbing that many stairs can be pretty exerting and the staircases are windy and, in some places, quite narrow. Thankfully at least, the traffic is one-way, so people don’t come down the same stairs as you’re walking up them (except at the very beginning, but that staircase is very wide). Because of this though, you can only turn around when you reach one of the three galleries, so make sure you’re committed before you begin! 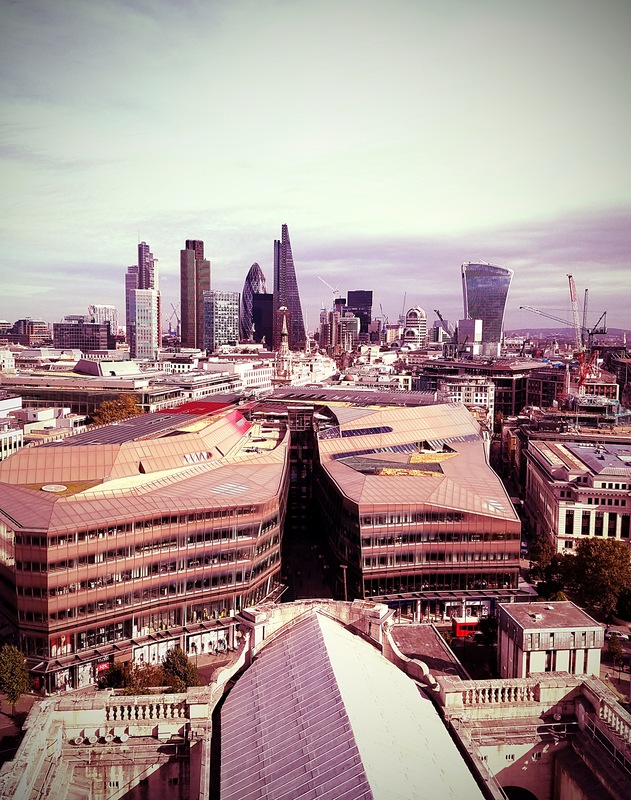 The views from the two outdoor galleries make the climb totally worth it though! As long as you’ve got your stair-climbing shoes on, I highly recommend this! After all that exertion, I thought I deserved a little treat, so I went to HMV to do some Blu-ray shopping. 🙂 We don’t have a lot of dedicated movie/music shops like that back home (though I have fond memories of places like Suncoast Video from years ago) and being a collector of Blu-rays, I always pay HMV a visit when I’m in London. They usually have great sales going on and that was true today as well, so I picked up a few titles and made my way back to Earl’s Court for a bit of relaxation and blogging before the final event of the evening. So what was my only planned event for the day? Would you believe I went to another show?? While in Swansea, I talked about my plans to see The Book of Mormon and Ruth Ann said she was interested in going as well, so we made it happen! I checked tickets last weekend and it seemed like there were lots of options at different prices, so I wasn’t too concerned about booking right away, but by the time I looked again on Wednesday morning, there were very few left. 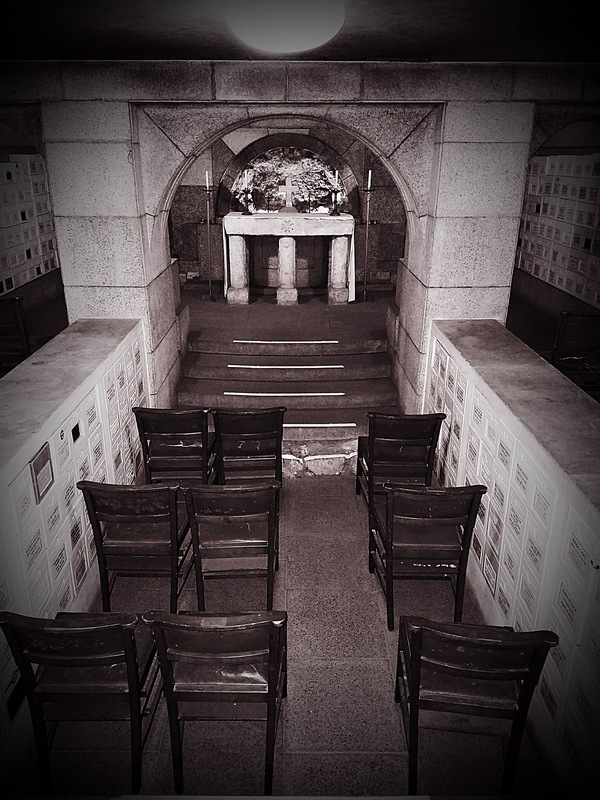 We eventually settled on one of our only options to get two seats together – box seats. 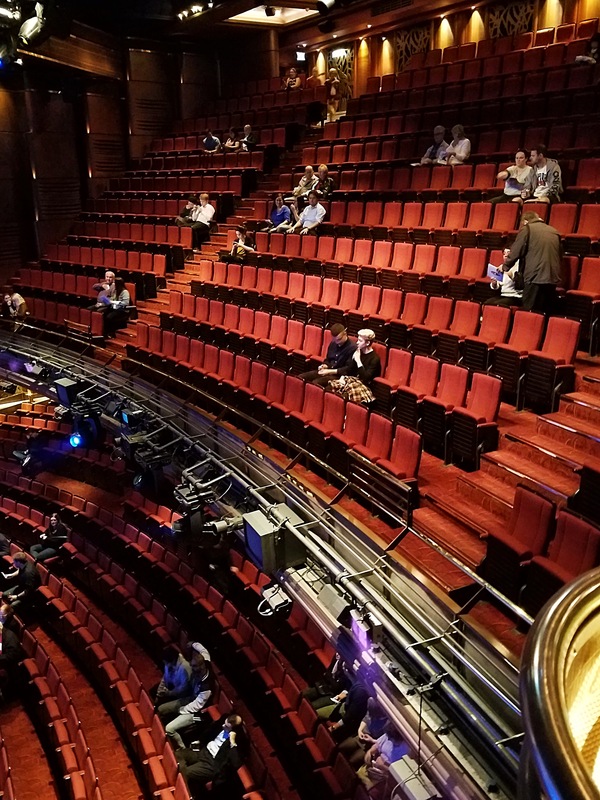 I did appreciate the comfort of box seats because we had individual chairs (rather than attached rows of seats) and we had no one in front of or behind us, which was great. There were only a few times was something was happening in the back left corner of the stage that our view was restricted, but that didn’t detract from our enjoyment of the show. And at only £42/$54 USD apiece, the tickets were a steal, especially compared to the prices you can expect to pay on Broadway. If you’ve never heard of it, The Book of Mormon is written by Trey Parker and Matt Stone (the creators of South Park), so there’s lots of swearing and debauchery, but it’s a hilarious show and I laughed out loud constantly. I highly recommend it! Photo recap begins in 3, 2, 1…now! 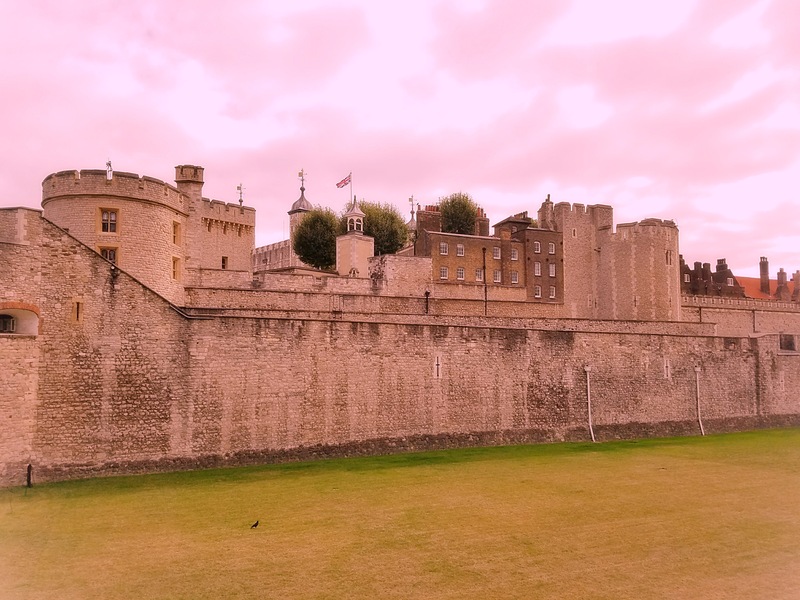 The wall around the Tower of London. Aaaaaand, maybe one more selfie when I got closer to the bridge. Cradle Tower, part of the Tower of London. 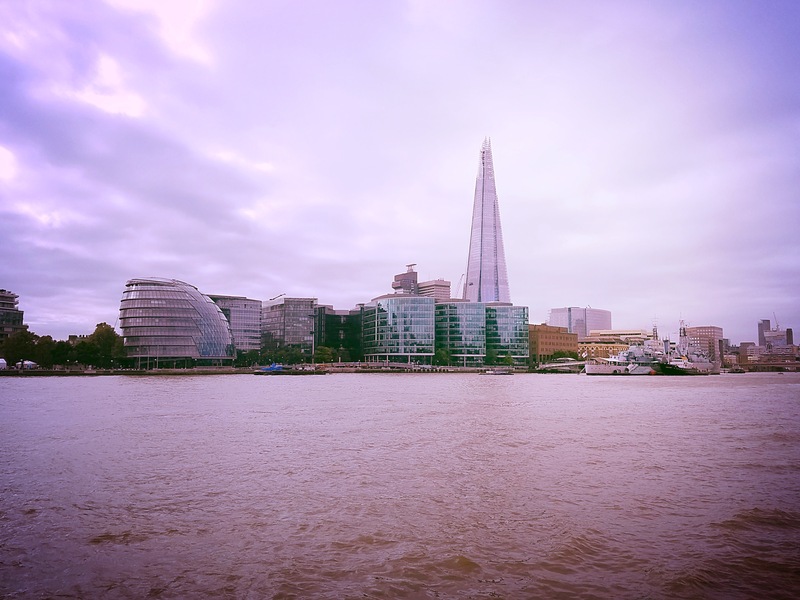 Looking across the river towards the Shard. Closer shot of the Tower of London. And one more shot of Tower Bridge before moving on. All Hallows-by-the-Tower. 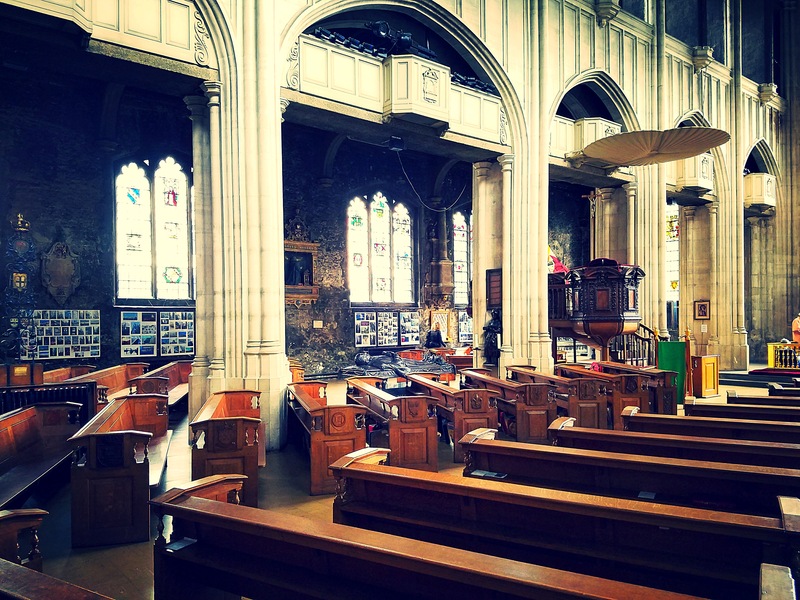 Although the church dates back to 675 AD, the building is definitely not that old, largely because of things like the bombings during World War 2. 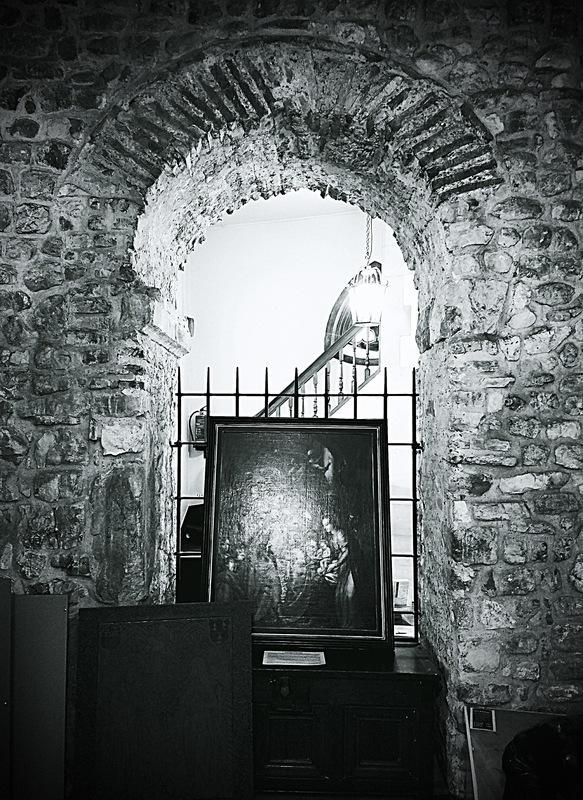 This is the oldest Saxon arch in the City of London and is believed to be made from Roman roof tiles. 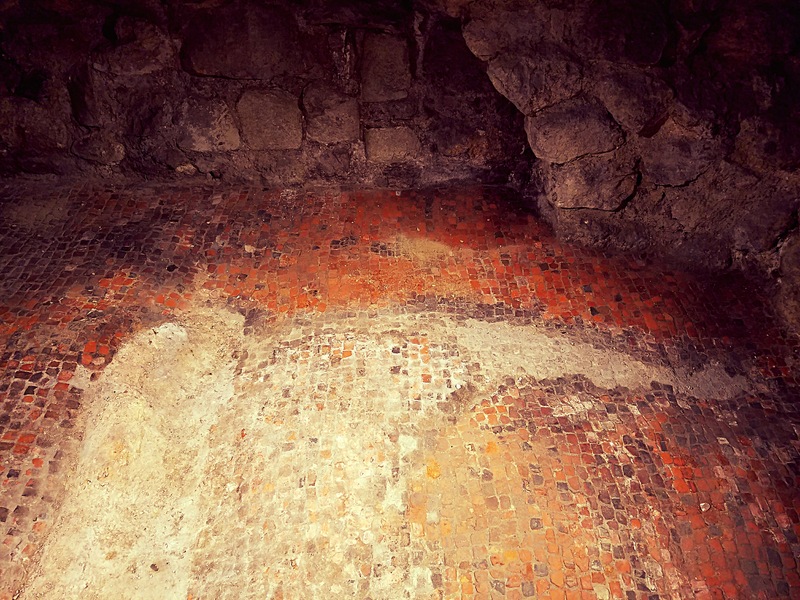 A preserved Roman walkway in the crypt museum. 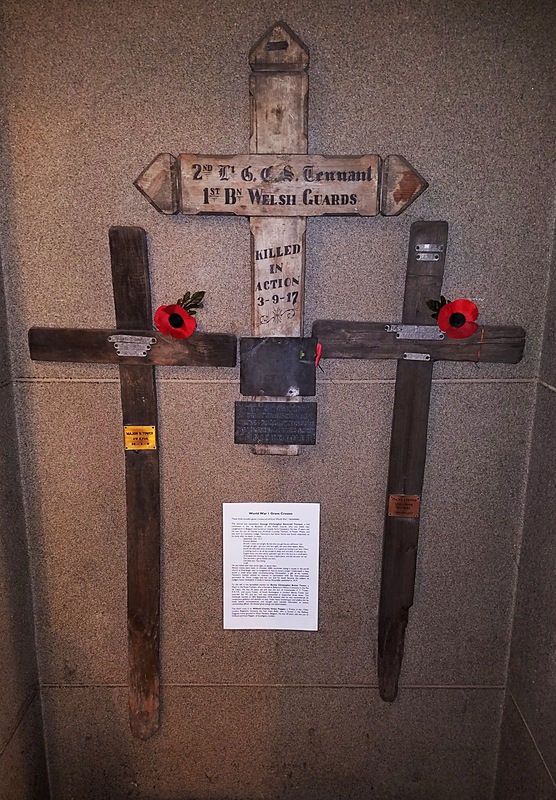 These wooden grave crosses are from World War 1 battlefields. 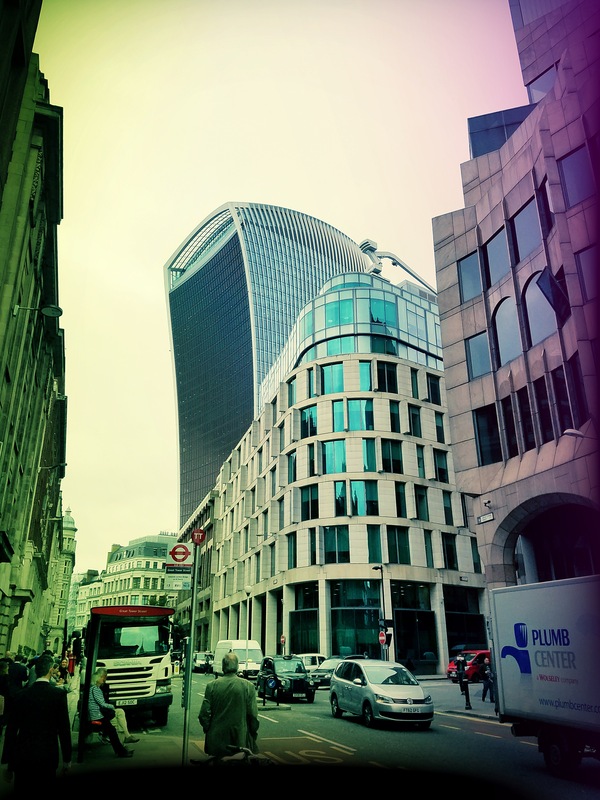 Catching a glimpse of the Walkie-Talkie on my walk to St. Paul’s. One of my favorite photos of the trip so far! 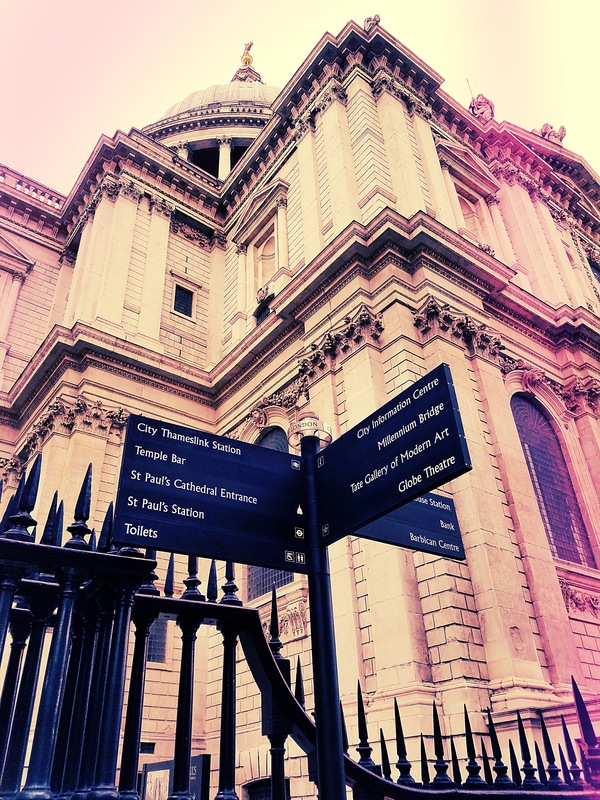 Directional sign + St. Paul’s. The main entrance to St. Paul’s. It’s a really amazing building. 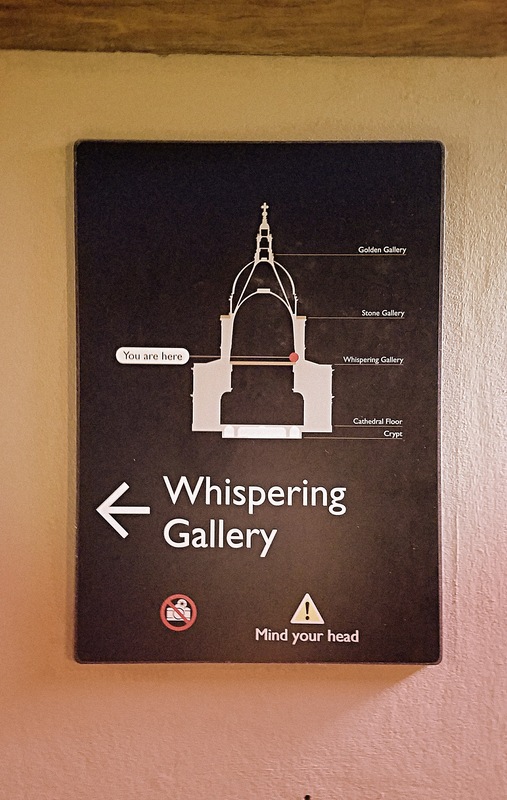 The sign telling me I made it to the Whispering Gallery – not to the top yet. First view from the Stone Gallery (still not the top). 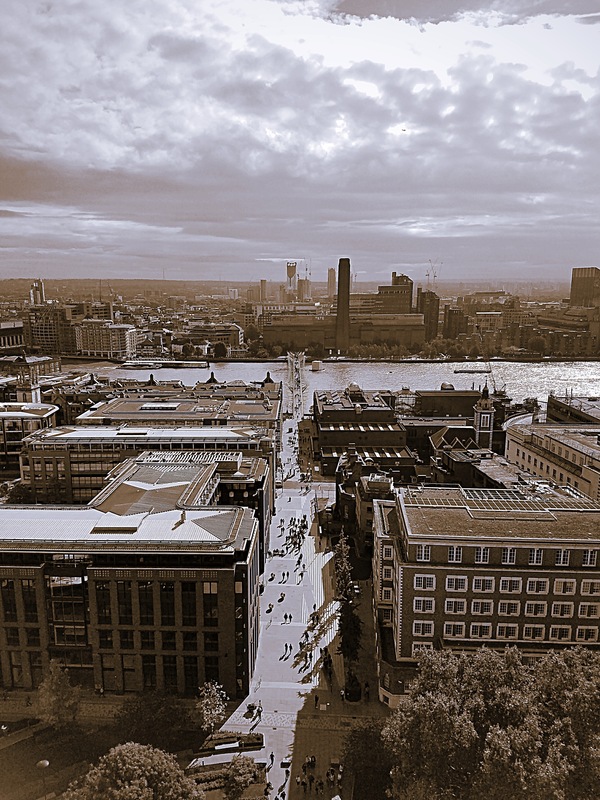 Looking over the Millenium Bridge from the Stone Gallery. They weren’t kidding when they said some of the staircases are narrow! The amazing views from the Golden Gallery made all that climbing worth it. 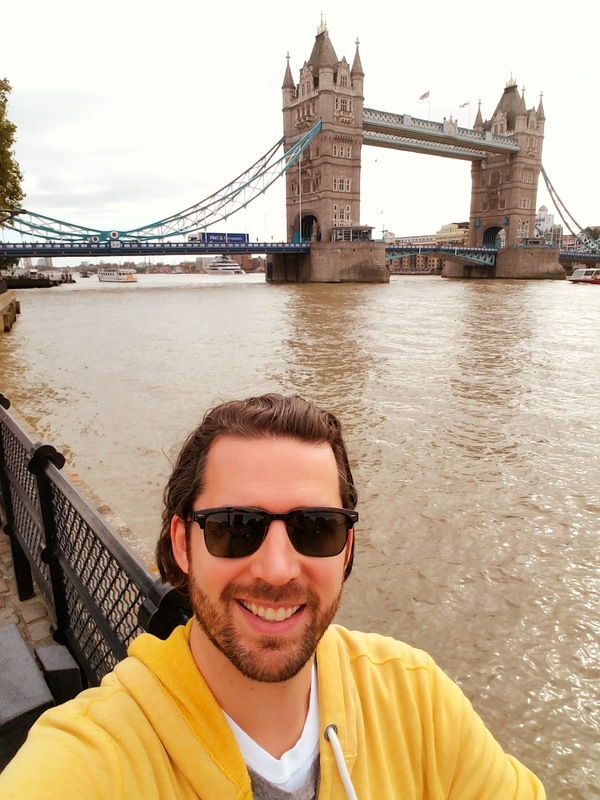 London – the city I love! Looking over the main entrance from above. 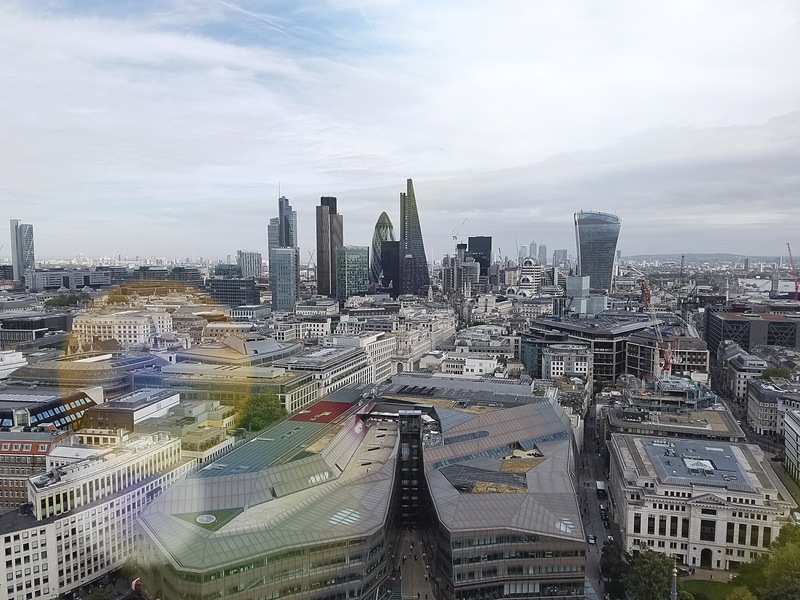 When you leave St. Paul’s, be sure to walk through Paternoster Square for a drink, a snack, or just the great views. 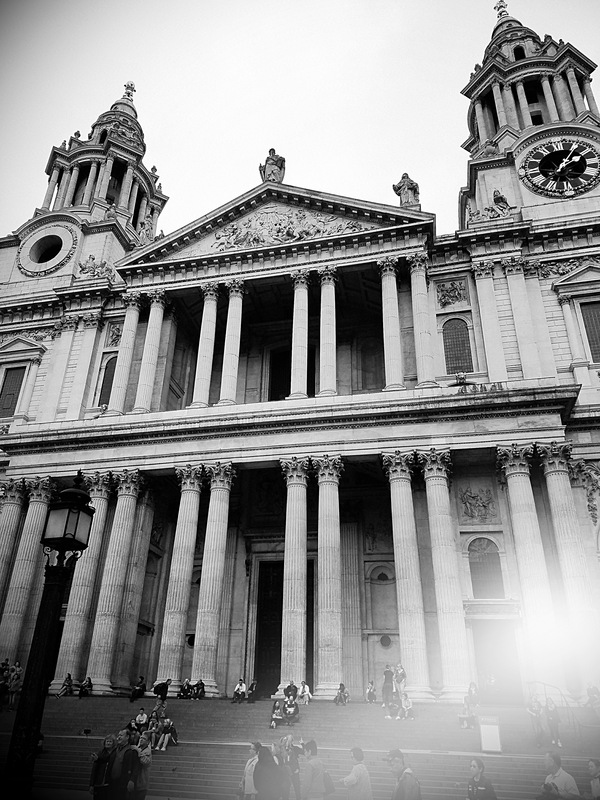 One last peek at St. Paul’s on my way to HMV. 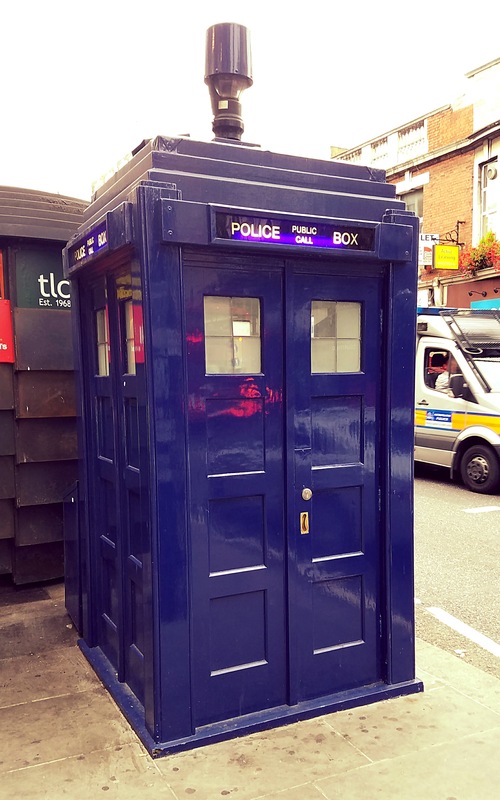 As I do every year, I took a photo of the Earl’s Court police box. The view of the theatre from our seats at The Book of Mormon. Another great day in the books! And happily, this post brings you up to date with where I am today. It’s Thursday morning as I write this post and I’ll shortly be headed out into London for my last full day here. I fly out early tomorrow afternoon, but there will be plenty of time to think about that later. In the meantime, it’s time to do some more exploring!